I’ve just arranged an interview with mountain biking strength and conditioning coach James Wilson. I’ve had really good results following James's training programs and so I’m hoping my podcast will be good information for everyone. James is very well known for his Flat Pedal Manifesto, and flat pedals are also something which I feel has improved my performance on a full suspension mountain bike. If nothing else, flat pedals are very comfortable compared to clipless pedals. I think you should be able to find both online if you poke around a bit. 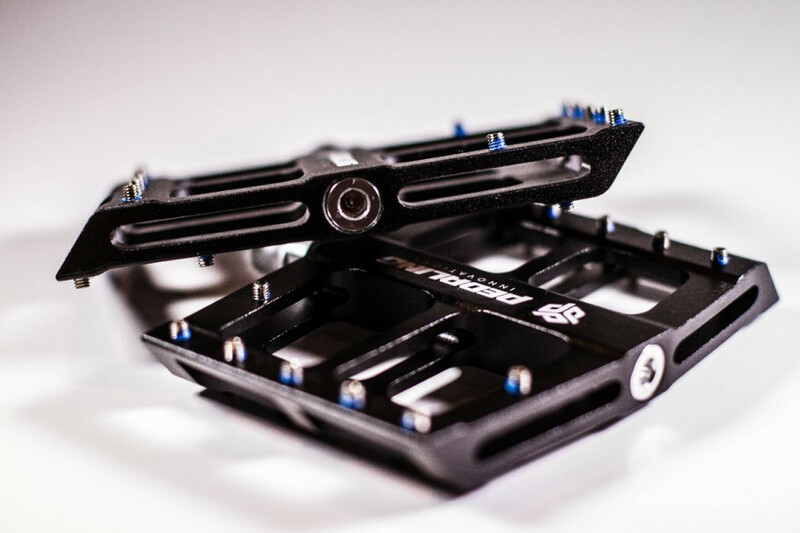 Both studies offer compelling evidence that support the idea that clipless pedals offer no mechanical advantage over flat pedals. Before making up my mind, I thought I’d run this past Dr. Tommy Wood, as Tommy does science for a living and is always extremely helpful in guiding me. As always, Tommy replied with a detailed and insightful response and gave me permission to publish his email here. The problem with the statistics that Tommy mentions is a problem for nearly all scientific studies. If you have a small number of participants, it’s not appropriate to use the mean (average). Instead you should use the median, or better yet, publish all of the data. After all, nobody has an average pedal stroke. Both of those papers are very interesting, thank you! I know that some of their statistical methods would raise the eyebrows of Lars, my statistics mentor, but I actually think that matters a lot less here than it does in the nutrition stuff. Both of those studies together suggest that clipless pedals don't increase efficiency, and actively pulling up on the upstroke reduces efficiency. This actually makes sense, because in order for your pulling to additively increase power, the upstroke leg will have to be moving faster than the downstroke leg, which would probably mean a relative reduction in power on the downstroke side. As the Korf paper put it: "within the context of steady-state cycling, the extensor muscles may be more efficient power producers than the flexor muscles." i.e. your quads are more powerful than your hamstrings. It's pretty obvious, when you think about it that way. It's also worth remembering that the pedalling technique you're used to is the most efficient one, so finding what works for you and sticking with it (especially in top level cyclists that know what they're doing) is also important. They've found the same thing with running shoes and injury. Gait analysis and "support" makes little difference. The shoes that are the least injurious are the ones that feel the most comfortable! If clipless pedals help people more efficiently transfer to the downstroke, then they might see benefit, and I think some of the previous work in this area shows that. I guess you could also argue that these studies poorly simulate spending hours and hours in the saddle. Maybe after climbing up the Tourmalet you start to see a difference, and my guess is that the more muscles you have on tap over that distance and time in the saddle, the better. For mountain biking though, considering the fact that easily removing your feet for cornering (or when you stack your bike into a tree) is useful, plus clipless pedals don't increase efficiency, a nice grippy flat is probably the best of both worlds. Matt Leonard on Facebook pointed out "the upstroke leg will have to be moving faster than the downstroke leg"
This doesn't make any sense. It's like saying if I have two people lifting the same weight, one negates the other, and there is no net benefit. That one would have to push faster to make any difference. Also, pedaling isn't purely up and down. What about when the pedals are near flat? There are forward and backward movements that also keep the pedals moving. We "spin" in circles to efficiently pedal, not mash the pedals. To which Tommy responded: Reading it back, I knew I'd get caught out on that. I wrote the email early in the morning, and not initially as an instructive piece for public consumption. My bad. Of course both pedals will always be moving at the same speed, but the upstroke leg will have to be actively pulling hard enough to add to the power of the downstroke leg. Using your analogy, I could hold onto a weight and still not add anything because my parter is able to move the bar much faster than I am. In this case, my partner would have to slow down enough to allow me to add my effort to theirs. I am certain your quads come move weight faster and more powerfully than your hamstrings, and focusing on pulling may reduce the power you're generating in your downstroke. The same thing happens if you use too much energy kicking your legs when you swim, particularly over longer distances. Your arms lose power, and you become less efficient. You can see from the power curves in the papers that pulling on the upstroke removes the "dead" time in each stroke, just like you suggest. However, overall, more power is generated per unit energy consumed if you don't actively pull, and no efficiency is lost by using flat pedals. If clipless pedals help you transition to the downstroke, then they will add efficiency, just like I say. Use what works for you! This is just what the studies show.